Your clothes will be cleaner than ever AND you’ll save a huge amount of money over time with this laundry formula! This also helps to reduce the environmental impact of using regular laundry detergents and it has been reported by many users to be suitable for people with sensitive skin and those with allergies to some of the chemicals in regular brands! 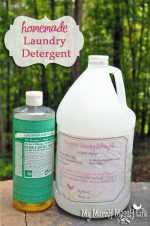 This laundry soap recipe needs only three ingredients and it can be used in any type of machine! 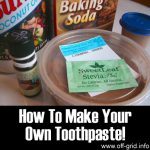 It can be customized by using your own choice of soap bar (best to use a “laundry bar”) for adding your favorite scent. 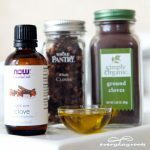 But it’s also easy to add essential oils to the recipe: citrus oils will actually boost the cleaning power and eucalyptus or peppermint will help to ease cold symptoms when released from your clothing during the day. Other oils such as lavender, rose, geranium, rosemary or vanilla will add a wonderful aroma! For extra environmental friendliness and gentleness on your skin, you could use castile soap that is made from very natural ingredients, mainly olive oil – it has been around for many centuries so has been fully tried and tested. 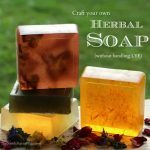 It is slightly more expensive than usual soaps but with the huge saving you can make on laundry soap with this recipe, it will now seem very affordable! 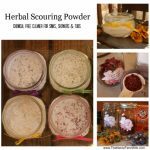 If you don’t want to make 5 or 10 gallons at a time, the ingredients can be mixed dry and used in much smaller quantities – 2 or 3 spoonfuls will do – and it will take up far less space in your store cupboard. The liquid soap can settle over time so it needs to be shaken up before each use but tends to work better if you have hard water. There are some minor concerns about the safety of Borax so please make sure that you do not handle it without gloves or breathe any Borax dust – it can cause irritation to the skin and eyes and should also be avoided by pregnant women. If you want to use a more natural alternative for whitening, white distilled vinegar is useful to remove stains, deodorize and brighten whites – simply add 1 cup to your load at the start. Half a cup added before the last rinse cycle will also act as a fabric softener and help to remove any traces of irritant chemicals from your clothes. Make sure that you do not combine bleach with vinegar as it will give off poisonous fumes! 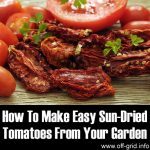 Lastly, the recipe uses washing soda, please be careful not to buy baking soda instead (also made by Arm & Hammer) – it will not work and is likely to fade your clothes!